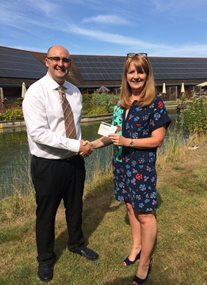 This year we were delighted to raise £750 for a charity very close to our hearts – St Richards Hospice. The hospice do amazing work within Worcestershire. Their broad spectrum of services and support they provide to people with life-limiting conditions is truly inspirational.